All appointments of a field service engineer will be sent to the Google Calendar of this FSE. 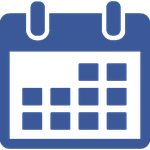 Appointments created in the Google Calendar of the FSE will be imported to CATTOR. Each FSE account can be linked to a Google account. CATTOR does a scheduled matching and exchange of appointments between the 2 calendars. Adding, deleting and moving of appointments is supported. 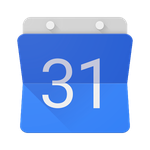 Appointments added in Google Calendar are created with it's own category in CATTOR. Google provides a calendar API for 3rd party applications. Up to 100'000 requests per day and 5 requests per second are free. All appointments of a field service engineer will be sent to the Exchange Server. Appointments created in the Outlook Calendar of the FSE will be imported to CATTOR. Each FSE account can be linked to a Outlook account. CATTOR does a scheduled matching and exchange of appointments between the 2 calendars. Adding, deleting and moving of appointments is supported. Appointments added in Outlook Calendar are created with it's own category in CATTOR. All attachments, letters and emails sent from CATTOR are saved with meta data in the DMS and can be access through the browser or agrum app as well. agorum® core DMS is a flexible, os independent Open Source Document Managment System / Enterprise Content Management System (DMS/ECM). The representative for agorum in Switzerland is Novista GmbH. CATTOR has 2 interfaces with SAP. The first interface imports master data (Addresses, Articles, etc) from SAP. The second interface is bi-directional and is used to order and contract handling. CATTOR can import addresses exported from salesforce and provides a direct link from the address into the address in salesforce.